Saturday, Market day! We’d love to see you at the market! Our Thursday market downtown has come to an end for the season. Thanks to everyone who visited us in that location. 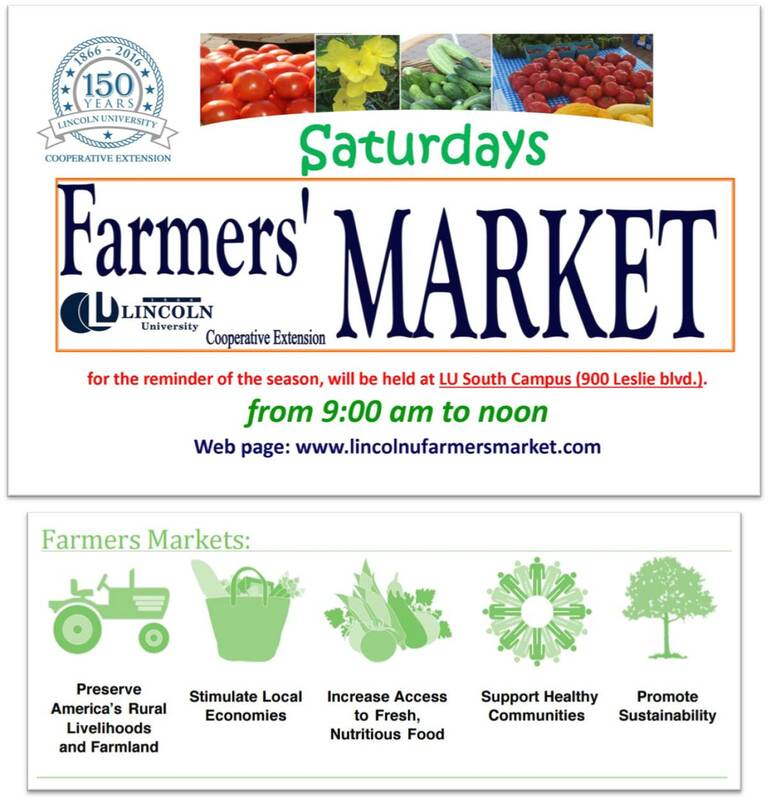 The Saturday’s market is still going on here on campus until October 3rd. Will be open on Labor Day weekend! Hugh and Janett Flowers will have sweet potato pie and carrot cake, as well as other baked goodies like tamales! We will start the Winter Farmers’ Market in November. Check the Winter Market page to find out all the details. Look for email sign-up sheets at the vendor booths during September, so you can stay in touch and get market updates and winter “shopping lists” delivered to your inbox. See you at the Market and thank you for your support! By LU Market Manager in Uncategorized on August 29, 2015 . Other obligations took me out of town today. So I couldn’t have been there anyway. But could I suggest that you send your email blasts earlier than Saturday? Getting them on Friday would be helpful as I develop my weekly shopping list.